Stithced Stories fall collection 2013 for women were released recently. 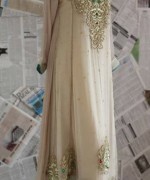 This fall collection of Stitched Stories is quite different from Stitched Stories spring collection 2013. The fall collection includes a wide variety of ready to wear clothes including casual wear, semi-formal wear and formal wear. All of these stylish dresses contain long shirts. 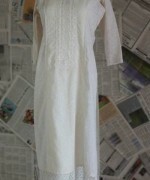 There are clothes for many women of different ages in Stitched Stories fall collection 2013 for women. So, if you would like to update your wardrobe for the fall season, check out Stitched Stories fall collection 2013 for women. Stitched Stories is one of the brands that are rapidly emerging and gaining popularity for women’s wear. Founded in 2011, the brand now has lots of fans of its dresses. 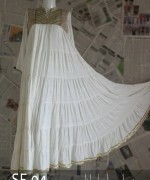 Casual wear, semi-formal wear and formal wear dresses are provided by Stitched Stories. It focuses on providing edgy fusion wear. 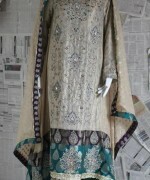 All of its clothes are ready to wear and made according to the present style in Pakistan. The brand can be contacted for orders, inquiries, etc through email and phone. It has its store in Karachi and sells its ready to wear clothes through numerous multi-brand stores within the country and abroad. 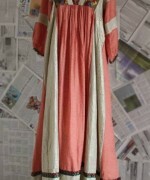 You can see pictures of some of the dresses in Stitched Stories fall collection 2013 for women below. For more pictures of Stitched Stories fall collection 2013 for women, turn to the Facebook page of Stitched Stories. You can get a list of names of the places where the clothes of Stitched Stories are available through Facebook. 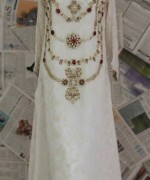 You can get these dresses from those places as well. The address of the Facebook page of Stitched Stories is provided here. You can get email address and phone number of Stitched Stories is also mentioned on the brand’s Facebook page. So do visit the Facebook page if you wish to find out more.